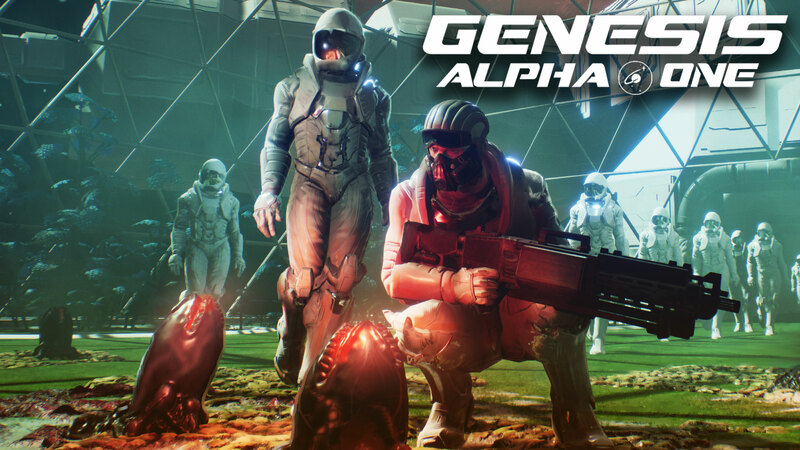 Genesis: Alpha One Launches in January 2019! Today we’re exciting to announce that our unique first person roguelike space exploration shooter, Genesis: Alpha One, launches on Steam, PlayStation 4 and Xbox One January 2019. Take on the role of an interstellar Captain aboard the U.S.S Genesis, where you’ll have to build your ship, clone your crew, and explore – and survive – alien worlds to find a new home for humanity’s DNA. The randomly generated galaxy will ensure you’ll never know exactly what will happen, but at least we can now confirm when. To get ready for mission launch, be sure to check out the first part of our Captain’s Training series, that teaches you the very first steps required to becoming a successful captain aboard the U.S.S Genesis. Be sure to join the conversation on Twitter, Facebook, Discord or the Steam forums. If you’ll be playing on Steam, be sure to Wishlist the game here. Updated with new release date. PLANET ALPHA – Unlock The Mysteries – New Trailer!